Voted #1 Midtown Event Space. See It To Believe It. 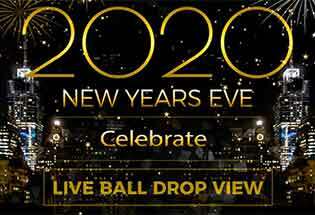 Tickets for Gotham Hall NYC New Years Eve 2020 are currently not on sale. 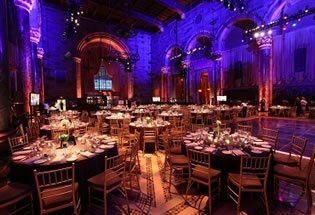 New York City’s Gotham Hall, a historical and epic ballroom, is one of the city’s most treasured event spaces. Formerly the Greenwich Savings Bank headquarters building, the now-renovated space is a sprawling and truly magical grand ballroom, in fact, one of the most magnificent ones around. 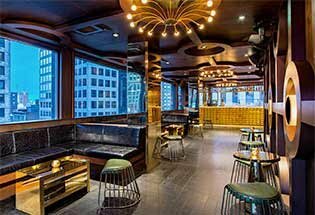 The magical venue, located smack dab in Herald Square on 36th Street and Broadway, boasts the perfect combination of classic elegance, charm and modern swank. The detail of the architecture, rife with Corinthian columns, a glided ceiling and an epic stained glass skylight, is unlike anything else you will find in Manhattan. The place is truly regal feeling. And this New Year’s Eve, the fabulous Gotham Hall is opening its gorgeous doors for a what’s-sure-to-be amazing NYE extravaganza! What better way to ring in the new year than at a posh, stylish and classy fete in a space fit for a king? We can’t think of one! With a prized ticket to the Gotham Hall NYE party, you will enjoy all the amazingness you could ask for. Doors open at 9 PM… and that is precisely when open bar starts as well! You’ll enjoy five and a half fabulous hours of open bar to imbibe in all the festive cocktails you want. And of course, what goes along with cocktails? Food! Delicious mini buffet stations with a variety of apps and food will be available from 9 – 11 PM to satiate your late night munchies! This is the absolute perfect spot for you to dance the night away… and you can do just that! A live DJ will perform and spin dance, hip hop, 80’s, rock and top 40 hits all night long while you get your groove on! Yeah! Festive NYE party favors will be passed to get you even more in the spirit. And as the night gets later, a live countdown to 2017 will take place. Then when the clock strikes midnight, raise a glass to 2019 with a complimentary champagne toast. Cheers! So treat yourself like the celebrity you are by partying in style this new year and get your ticket to the Gotham Hall bash. Dress is festive New Year’s attire.